The results of a necropsy have led California authorities to launch a criminal investigation into the death of a great white shark that washed ashore in Santa Cruz on Sunday. 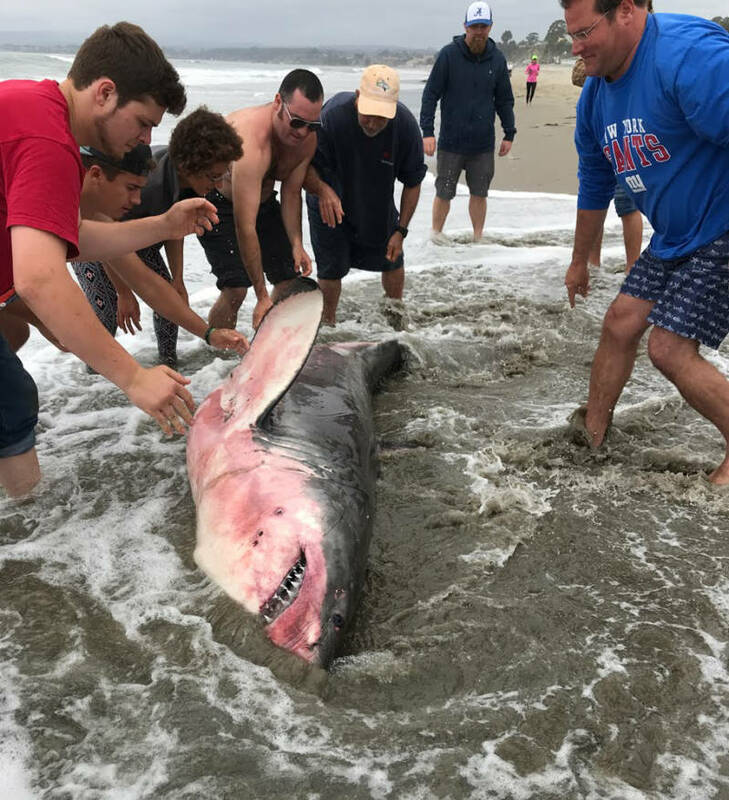 The young nine-foot-long, 500-pound male shark was discovered on Aptos Beach, according to Peter Tira of the California Department of Fish and Wildlife. Images circulating online of the dead shark show the carcass covered in cuts, but state officials wouldn't comment on the wounds. "Our law enforcement division has taken up the case based on the necropsy results," Tira says. Details of the necropsy have not been made public. But experts say the launch of a criminal probe marks a highly unusual move by authorities, indicating foul play may have been involved. Shark scientist David Ebert says he is not aware of any other instances in California where a dead white shark led to a criminal investigation. 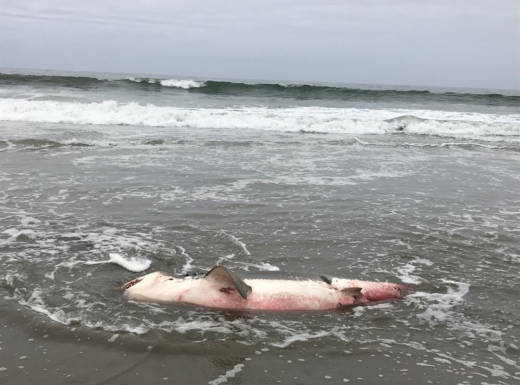 "All I can assume is that they discovered some sort of trauma, perhaps a gunshot wound that isn't visible in any of the images I've seen," says Ebert, director of the Pacific Shark Research Center at Moss Landing Marine Lab. Ebert says he would be "pretty surprised" if someone deliberately targeted the shark. State and federal laws prohibit the targeting of great white sharks but makes allowances for those accidentally caught in commercial fishing nets. In those cases, the shark should be released, or if dead, reported to the authorities. One possible scenario, says Ebert, is if someone dumped the dead shark back into the ocean without reporting it, after accidentally catching it. Shark expert Pete Klimley says its highly unusual for a great white shark to wash up on shore at this time of year. "They generally show up in August through late November and then go out into the Pacific," he says, "so this is very odd. There's nothing really to feed on at this time of year." Based on the images of the dead shark, Klimley says he's skeptical that the shark may have been accidentally caught in a net. "It's a pretty big shark to let go. Most fisherman out there are using salmon gear, which is ill-equipped to catch a shark," he says. "I don't think those people are catching a white shark and letting it go." Klimley says if another shark washes up on shore, it may point to a parasitic brain infection that most recently surfaced last year, when thousands of dead sharks and rays were turning up on local beaches. Last October, California authorities identified a microbial pathogen responsible for the killing of sharks in the San Francisco Bay in 2017. Despite last year's deaths, Ebert says the great white shark population is doing pretty well in the Bay Area. "There are frequent sightings of great white sharks," Ebert says, and that speaks really well for the health of the Bay."